Learn desktop publishing for print and the web one article at a time with this desktop publishing (DTP) series. This online tutorial is designed to be read one day at a time for 28 days. Or go at your own pace. This introductory look at desktop publishing is designed primarily for those with little or no experience or training in DTP and graphic design. After you complete it, you will have a much better understanding of the desktop publishing process. The lessons in this section focus on defining desktop publishing and related terms. You'll find definitions, trivia, and articles that allow you to dig deeper into the subject if you want. Learn the difference between designing for print and designing for the web. What Is Desktop Publishing? Topics include desktop publishing, graphic design for print, web design, and the modernization of DTP. Tools of the Trade covers the supplies and equipment you need to get started in DTP. Four Types of Software for Desktop Publishing is an overview of the types of software used for print and web design. It's a Print! Learn the differences between designing for print and designing for web pages. Fonts are the bread and butter of graphic designers and desktop publishers. Learn the lingo. Be True to Your Type. Learn about OpenType, TrueType, and Postscript fonts. Web-Safe Fonts. You don't want any surprises on the web. It's Just Fonts, Right? web pages history, choosing fonts and composing text. Web Typography 101 addresses basic terms and concepts as they apply to web design. It doesn't matter whether you are designing for print or the web—images play a crucial role, and you want yours to have an impact on everything you design. The Art & Science of Graphics covers the elements of graphic design. Pictures in Print covers working with TIFF files. Pictures in Pixels covers the best image formats for each purpose. Adding Images to Web Pages. Learn the HTML secret. The articles in this section cover concepts and tasks related to file preparation for print and the type of printing used in desktop publishing. How Many Colors? Here's what you need to know about the CMYK color model. How Many Separate Colors? Learn about color separations in commercial printing. Here's the Proof covers the types of printing proofs and how they are used. What Is a Commercial Printer? Find out why this is different from the printer across the room. Yes, there are rules in desktop publishing. Mainly, they smooth the path to happy clients and standardize the processes of DTP for print and the web. Rules of Desktop Publishing: Why they make a difference. Use Fewer Fonts and follow the less-is-more principle in typographic design. Smoothing Out the Ragged Edges explains the ins and outs of justified text. STOP SHOUTING! When you want to use all caps, use the right fonts. 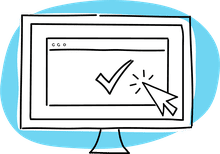 These articles revisit some things you learned previously but show how they are all connected and fit into the desktop publishing process when working on a specific document on a webpage. The main focus is on becoming familiar with the steps that are involved in the creative process. Basics of Web Design. How to make the site work for the viewers. Where the Desktop Publishing Begins covers file preparation. It's Not What You Say But How You Say It covers text compositions for both print and the web. Getting Ready to Get It Printed covers prepress tasks and how to prep your digital files for print. 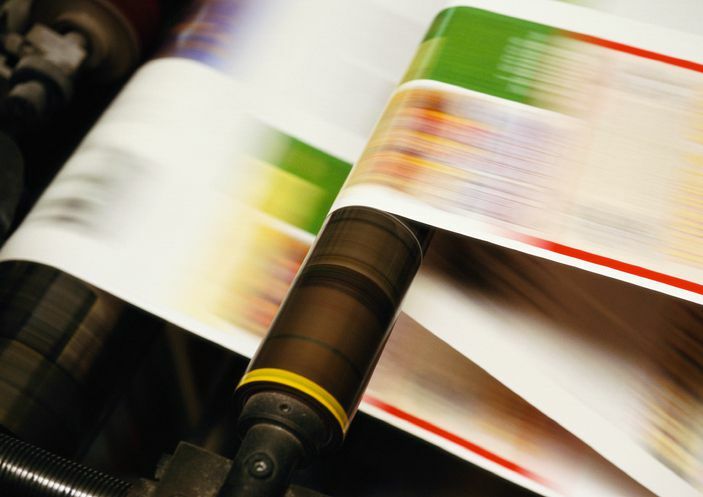 Getting It Printed discusses printing on sheet-fed presses vs. web presses and how they differ. By the time you make it this far, you'll be familiar with the basic concepts of desktop publishing as they apply to print and web design. Don't stop here. There are plenty of other training opportunities, online software tutorials, and publishing skills you can acquire. Take It to the Next Level covers additional education and learning steps you can take to advance in this field.